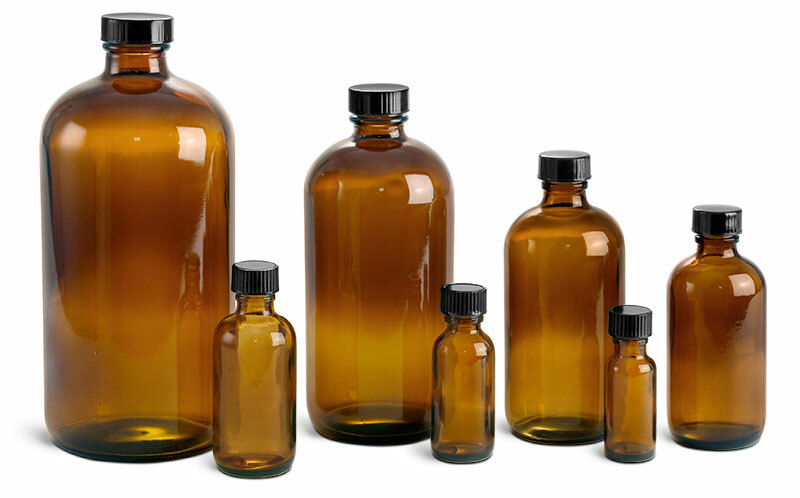 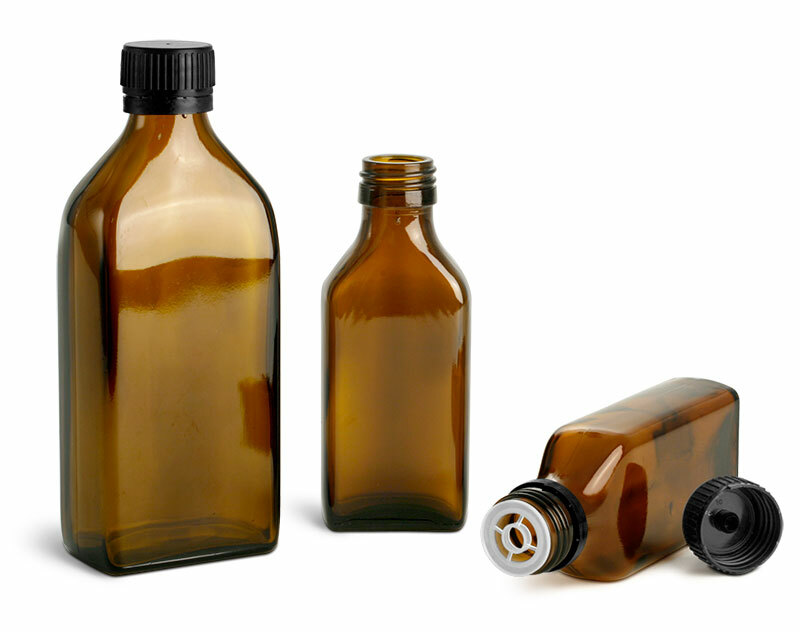 When selecting glass extract bottles, consider amber glass Blake Ovals with black phenolic coned lined caps. 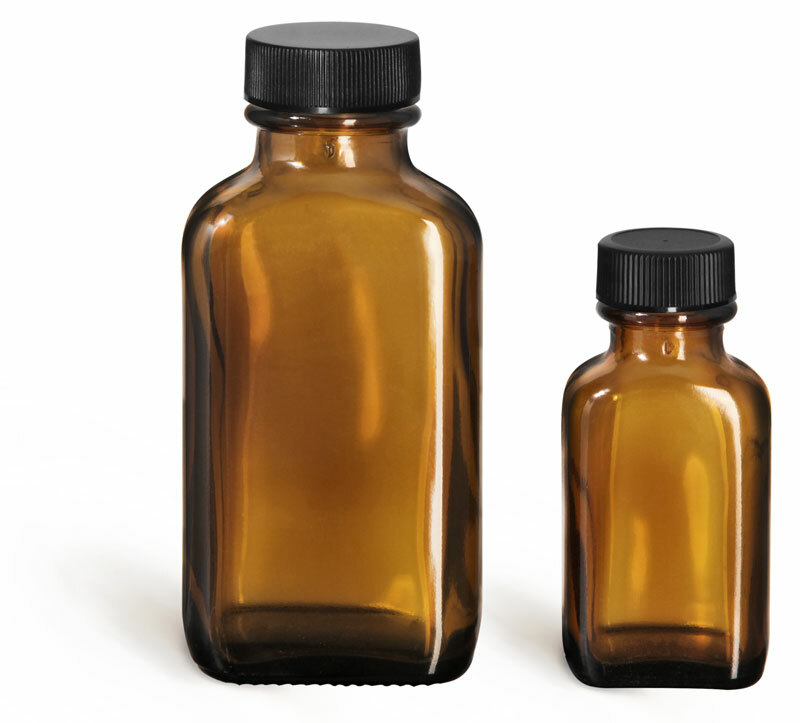 These amber glass bottles offer substantial UV protection as well as spacious labeling areas for your custom design and logo. 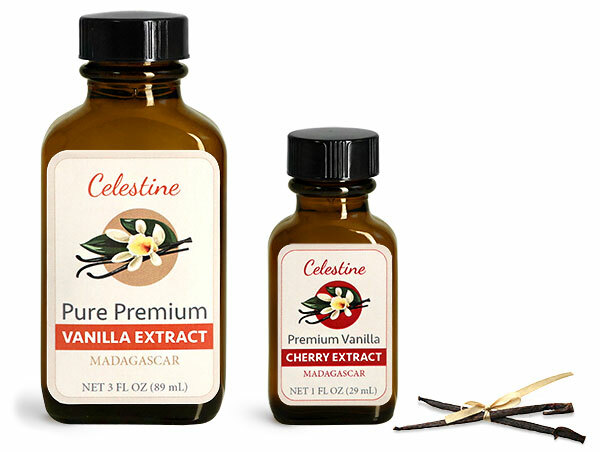 Black phenolic cone lined caps create a secure seal, assisting in the preservation of a variety of extracts, including vanilla extract, fruit flavored extracts and more.